Only the very best Japanese combed cotton bib apron, for the connoisseur. Our unisex bib apron is without comparison in the marketplace! These pinstripe aprons work well in any environment…from a vintage-themed wedding set in a wooded glen to a sleek modern venue in Manhattan! 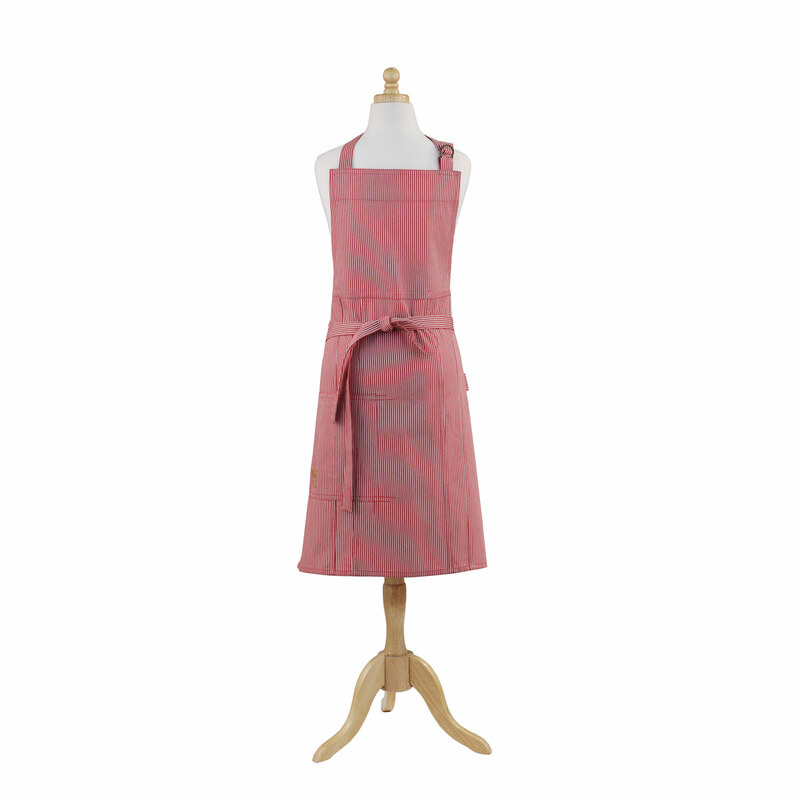 This bib apron has edgy fashion style details such as vents and over-stitched seams. 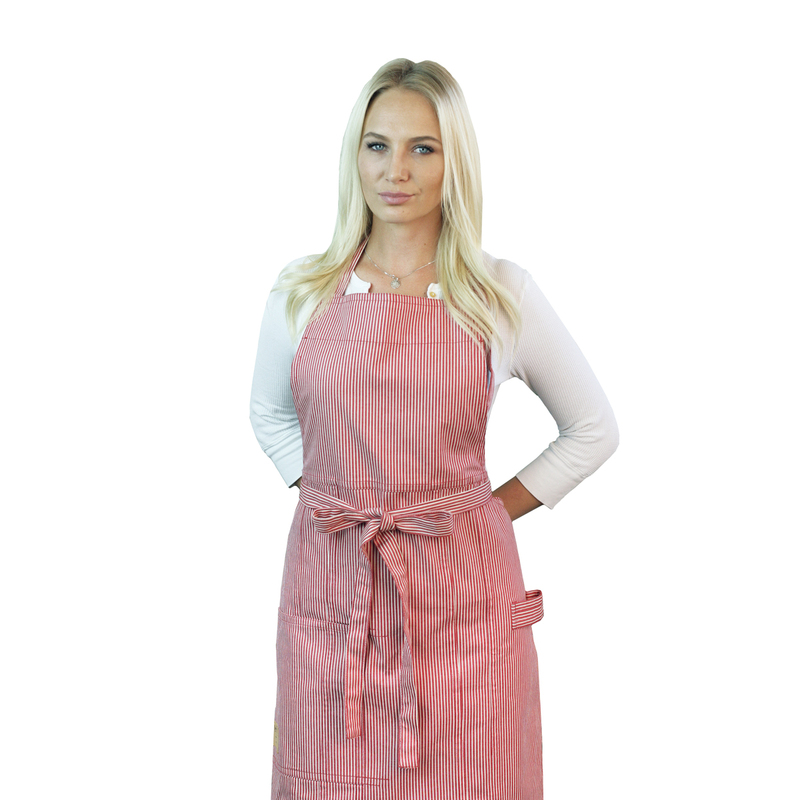 The bib apron has extra long ties at the waist, adjustable straps at the neck, an oversized patch pocket (convenient for an Ipad mini /order pad), a loop for a towel. Machine wash and tumble dry for easy care. Lightly iron as needed. 100% cotton.